Post-Graduate Member (PGM) – Any person having completed a recognized Laryngology fellowship, and upon the recommendation of the fellowship director and/or residency Department Chairman, Vice-Chairman and/or program director, shall be eligible for post-graduate status. The appointment is time sensitive, with the candidate being required to become an Active fellow within ten (10) years of appointment or Corresponding fellow within seven (7) years of appointment. The candidate for PGM must be a diplomat of the American Board of Otolaryngology or its equivalent as determined by the Council. No dues will be applicable for years 1-5. Post-Graduates members who are eligible to become Active Fellows will be responsible for fifty percent (50%) of dues assessed to Active Fellows during years 6-10. Post Graduate members who are eligible to become Corresponding Fellows will be responsible for 50% of the dues assessed to Corresponding Fellows for years 6 and 7.  Application for membership in the American Laryngological Association is by invitation only. Therefore, applications for Active Fellowship, Corresponding Fellowship and Post-Graduate Fellowship are available to members only. These applications can be printed from this website after successful login. Click here for application for membership (Post-Graduate Member).